We can call you back. 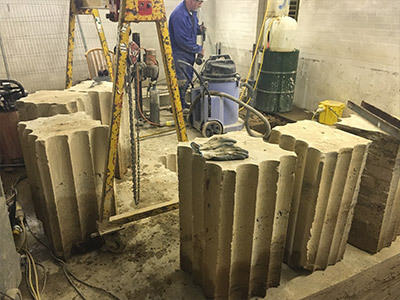 Diamond drilling specialists, UK Diamond Drilling Ltd, can also provide “Stitch-Drilling” services as a flexible alternative for specific individual site requirements. 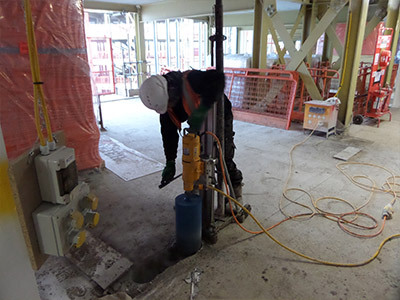 This is the method of drilling a series of interconnecting holes to separate and remove large volumes of reinforced concrete or brickwork up to several meters in depth, which are beyond the reach of any saw cutting equipment, and can provide a solution to otherwise impossible tasks. 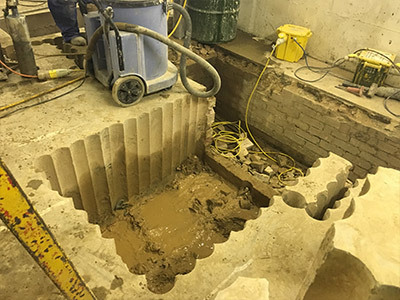 “Stitch-Drilling” can also be used to remove sections of concrete and brickwork in a methodical way, where control of removing the section could be difficult using alternative methods, or is in a restricted or confined space. 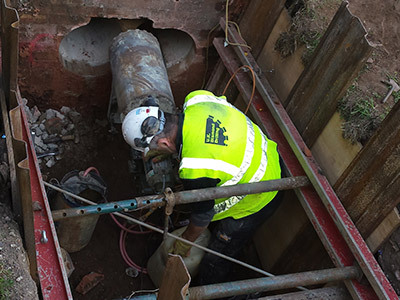 It is also a common technique used to create “letter boxes” for electrical tray-work to pass through walls and floors. Call us with your needs so we can offer a tailor-made solution to your individual requirements.